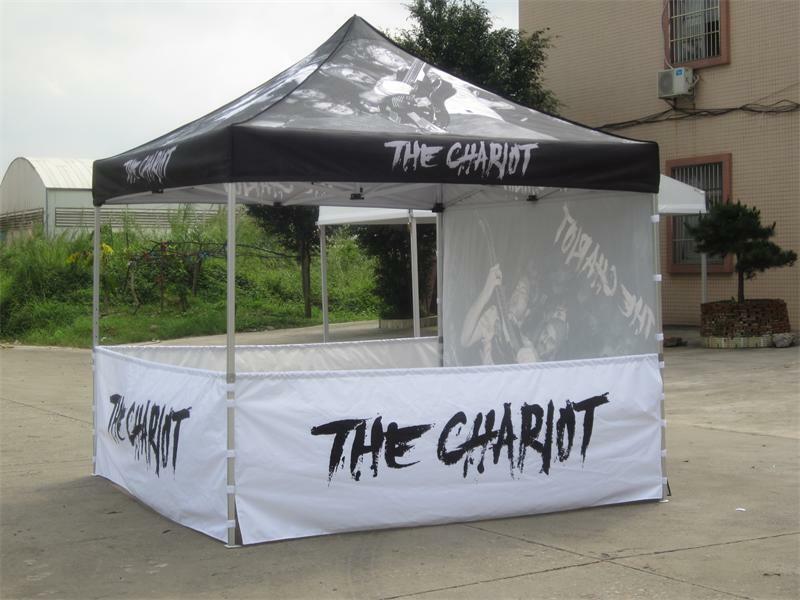 Promote your brand & stand out at your next event. 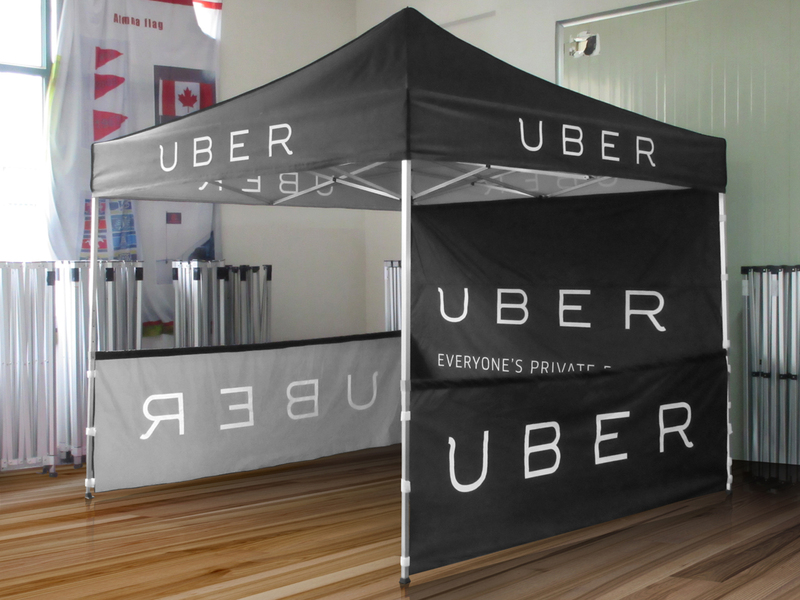 Perfect for trade shows, conferences, festivals & markets. Top quality durable materials. Material is fire resistant & 100% waterproof with UV protection. 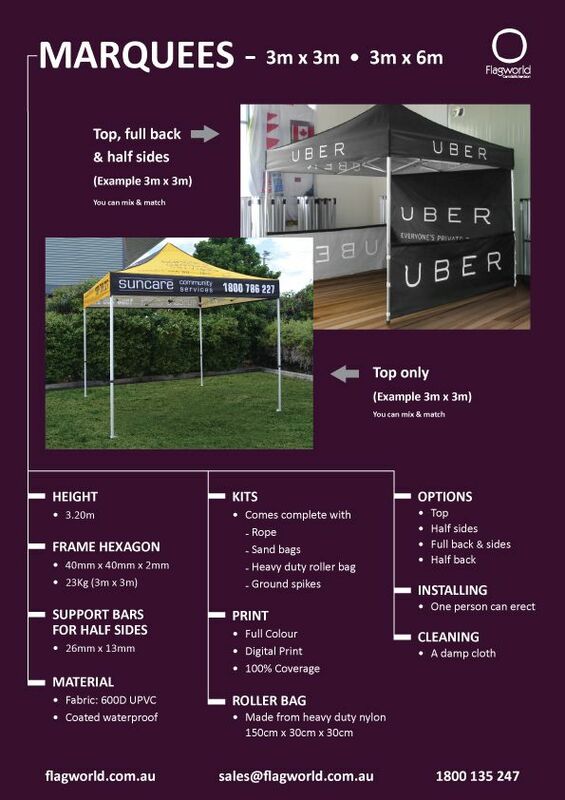 Available sizes include 3x3m (most popular) and 3x6m. A wide range of styles are available to suit your needs. (E.g. Top, full back wall + 3 half side walls; Top, full back wall, no side walls; Top only. No side walls). Timeframe for completion is 10-15 days from artwork approval. Please contact us below or phone 1800 135 247 for a quote. (Note. Marquees not Australian made).